Immagini Stock - Winter Saint Petersburg. 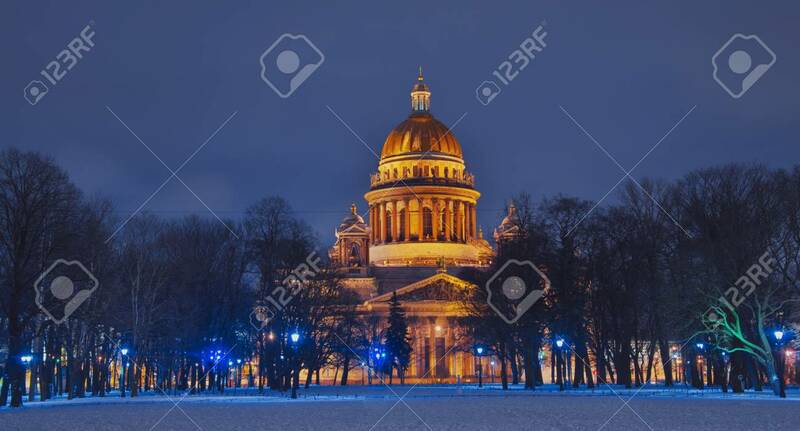 St. Isaac's Cathedral In Saint-Petersburg In The Christmas Illumination Decoration At Night . Russia In The Winter In The New Year. Image 115547363. Archivio Fotografico - Winter Saint Petersburg. St. Isaac's Cathedral in Saint-Petersburg in the Christmas illumination decoration at night . Russia in the winter in the New Year. Winter Saint Petersburg. St. Isaac's Cathedral in Saint-Petersburg in the Christmas illumination decoration at night . Russia in the winter in the New Year.